BEIJING • President Xi Jinping has amassed immense power at the recent national congress of the Chinese Communist Party (CCP), and has vowed to use that power to make China great again. However, the path to realising this Chinese dream of national rejuvenation - after more than a century of humiliation from the 1840 Opium War - is unlikely to be smooth. China's future, say some analysts, is fraught with uncertainties not least because of the concentration of power in one man's hands. Looking back at recent history, China suffered greatly under the excesses wrought by Mao Zedong in his later years but it has also benefited tremendously from Deng Xiaoping's bold push for reforms. Both were powerful, visionary leaders, and Mr Xi is now considered as being in their league. How China will fare under yet another leader with as much clout as Mr Xi is at the heart of this debate. Some have argued that there is a need for centralisation of power in order to bring about the changes that will turn China into a "modern socialist country" that is "prosperous, strong, democratic, culturally advanced, harmonious and beautiful". The concentration of power, noted China watcher Robert Lawrence Kuhn, is needed to maintain unity and manage the party more strictly in order to expedite reform to reach the goal of national rejuvenation. Professor Yang Dali of Chicago University pointed out that five years ago at the end of the administration of president Hu Jintao, "there was a craving among the Chinese for stronger leadership". Mr Hu was a technocratic ruler under whom an emphasis on collective leadership and consensus building led to relative political inaction that had critics calling his two five-year terms "the lost decade". At the same time, the CCP is a party of nearly 90 million members from multiple generations and a diversity of backgrounds with a lot of corruption in the official ranks. It feels very regressive to others especially when information flows are shut down, Internet censorship is stepped up, crackdowns on dissent are enhanced and so on. If you are a liberal, this is a challenging moment. PROFESSOR YANG DALI of Chicago University. "Mr Xi and some of his colleagues saw that this tremendous diversity within the party was not good for cohesion, for the integrity of the party, in the pursuit of his mission," said Prof Yang. He thought that Mr Xi had over-corrected, as leaders are wont to do, in his endeavour to make the party more disciplined and more dedicated to its mission. "It feels very regressive to others especially when information flows are shut down, Internet censorship is stepped up, crackdowns on dissent are enhanced and so on," he said. "If you are a liberal, this is a challenging moment," he added. Still, he noted, China's leadership has adapted well to every major crisis since the 1980s; each time it has adopted measures that are sometimes regressive but have ultimately kept the economy growing. In a similar vein, Mr Xi is not likely to face undue resistance if his administration is able to keep the economy humming along while making sure to spread the wealth and provide social security for the Chinese. He already has considerable popular support for his anti-corruption drive and policies to alleviate poverty and fight environmental pollution, said Prof Yang. What's more, Mr Xi has put in place many technocrats to help him to achieve his goals, he added. However, some like Chinese historian Zhang Lifan are worried about the risks of having a leader with so much power. For one thing, he said, there is the risk that any mistake made by Mr Xi will be perpetuated down the ranks of the party as no one would dare cast doubt on any decision made by him. Mr Zhang further noted that Mr Xi at the 19th party congress had broken with an unwritten norm in failing to name any potential successor to the top decision-making body, the Politburo Standing Committee (PSC). This, he said, leads to the danger of a power vacuum should the top leader fall ill or a situation occur in which he is unable to lead politically. "In such a situation under the CCP system, a power struggle could arise," he warned. In other words, the lack of a succession plan could lead to instability. Beyond these worries, there is also the possibility of resistance to Mr Xi's ambitions. "Real resistance" is likely to come from China's vast bureaucracy, wrote Professor Pei Minxin of Claremont McKenna College. He noted that China's lower and middle officials are self-interested people who care more about increasing their privilege and wealth than promoting abstract ideological goals. Mr Xi has dismantled the system of sharing power and spoils among elite cliques and eliminated the lavish bribes and perks that underwrote the extravagant lifestyles of these bureaucrats through his anti-corruption campaign and austerity drive. 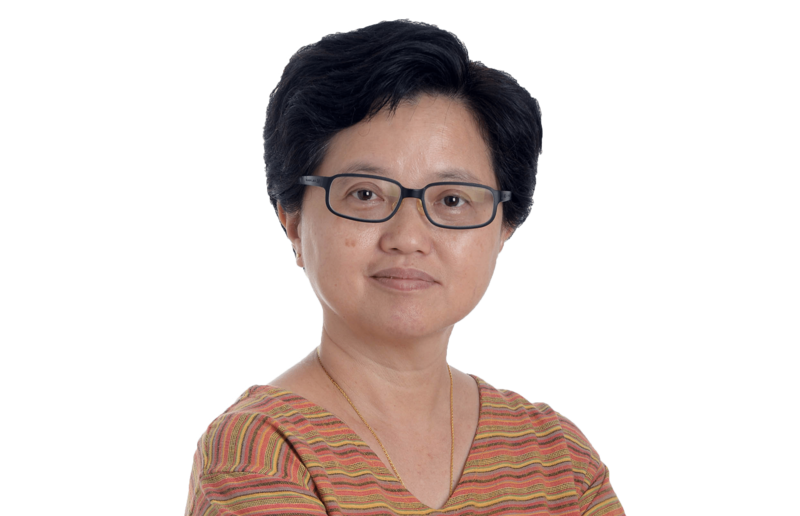 While these bureaucrats may not display their unhappiness in the open, "they will do what Chinese bureaucrats have done for thousands of years: passively resist edicts from the top", wrote Prof Pei. Certainly, in the long term, there needs to be an easing of controls if China is to avoid a backlash, some analysts have said. There are signs of the possibility of political change. Among the five newly promoted members of the apex seven-member PSC is Mr Wang Huning, a political theorist who has served two other leaders of the CCP before Mr Xi: Mr Jiang Zemin and Mr Hu. While in his writings Mr Wang has said that concentration of power is needed in order for reforms to take place, he has also said that a democratic system is necessary for a country to be modernised. "Without a highly democratic political system, it is difficult to establish oneself as a modernised, strong country among the advanced people of the world," he wrote. While he was not advocating democracy as the West knows it, he was suggesting having democratic institutions. "Wang's notion of democracy, though never explicitly defined, appears to be one of substantive rather than procedural democracy," wrote China watcher Joseph Fewsmith in his book, China Since Tiananmen: The Politics Of Transition. "Wang seemed more interested in building a stable and efficient government that could make good decisions based on widespread consultation - what might be called 'elite democracy' - than democracy per se. "For instance, Wang called for better policy research and brain trusts, powerful and effective administrative organs, effective propaganda to win the trust of the people and better feedback," wrote Professor Fewsmith. Some of these were called for by Mr Xi in his report to the 19th party congress, including strengthening the governing capacity of the CCP and training a contingent of competent and professional officials. He also called for strengthening public participation and rule of law in social governance. Elsewhere, he has spoken about the need for building new think-tanks that can promote "scientific and democratic decision-making" and "modernisation of the country's governing system and ability". There are those among the Chinese who are optimistic about the prospects for political reform. Political commentator Wu Jiaxiang believes Mr Xi will allow for a multi-party system and popular elections, when conditions are right. He noted that already, in Mr Xi's report to the congress, he has spoken about giving more decision-making power to governments at provincial level and below. It is difficult to see what Mr Wu envisages happening given that what is taking place now is tighter control of the media and civil society, and harsher crackdown on dissent. But if political reforms do take place, Mr Xi will have proven that he has taken over the mantle of his reformer father, Mr Xi Zhongxun, as many had hoped he would when he first came to power in 2012.